Surgeons have attempted to avoid this small, relatively insignificant complication by utilizing a “cadaver allograft” which is a ligament taken from a dead person, secondarily sterilized and inserted in the knee. The advantages of allograft are that it avoids “harvest site morbidity” and it is a technically much easier surgery to perform. Harvesting a patient’s own patellar tendon or hamstring graft is a more delicate procedure and is performed only by “knee specialists” and those knee surgeons who have done a knee fellowship and perform at least 100 ACL reconstructions a year. The PROBLEM is that allografts ABSOLUTELY DO NOT give the same results as an “autograft” or using the patient’s own tissue as a graft!! A recent study in The American Journal of Sports Medicine confirmed that allografts had a MUCH HIGHER incidence of failure at 5 year follow-up. This was one of a number of studies which have all shown A MUCH HIGHER RATE of failure with ALLOGRAFT. I am the Team Physician for Cal State University Northridge (CSUN), Pierce, Mission and Antelope Valley colleges, The Lancaster Jet Hawks and Chaminade High School and I only utilize autografts in these high level athletes who cannot risk a recurrent injury! If you or a friend have torn their ACL and your doctor has recommended an allograft, ABSOLUTLEY GET A SECOND OPINION and get the facts of autografts vs allografts! Every risk level athlete who has recently torn their ACL (Adrian Peterson, Robert Griffin, Derrick Rose, Rajon Rondo) have all had autogenous patellar tendon graft ACL reconstructions. This is the best option and the surgery that is RIGHT FOR YOU as well. Congratulations to Northridge Hospital Medical Center for being designated a Blue Distinction Center for Knee and Hip Replacement by Anthem Blue Cross and Blue Shield of California. This national designation is given to medical facilities that have demonstrated expertise in delivering quality specialty care in comprehensive in patient knee and hip replacement services. The reason I am excited about this award is that Blue Destination Centers have a proven track record for delivering better results including fewer complications and re-admissions than hospitals without these recognitions. 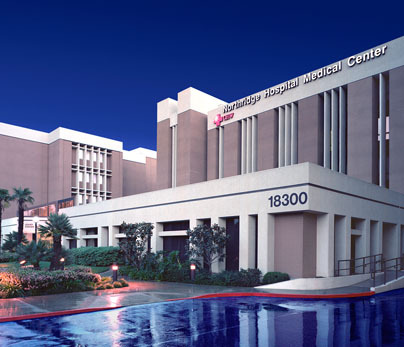 I have been on staff at Northridge Hospital for twenty five years and have performed over one thousand knee arthroplasties at this great hospital. I am proud of this distinction and invite you to discuss the advantages of having a partial or total knee arthroplasty at Northridge.